"As soon as I can remember, I looked up at the stars and I thought, 'Is there anybody looking back at me?' I think there's just an inherent curiosity we all have," Lone Signal chief marketing officer Ernesto Qualizza said here today (June 11) during a press event announcing the project's intentions. "We all want to see what's on the other side of the next hill, and this is an extension of that curiosity." 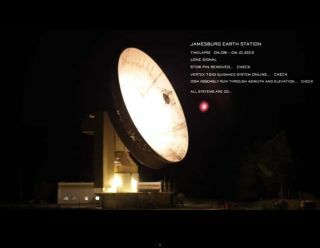 Lone Signal is crowd sourcing the search for intelligent life by asking people from around the world to submit their messages that will be sent deep into outer space. "We are absolutely part of the private sector in terms of space and what's happening in space, and we are the kind of teenager alongside SpaceX and Virgin Galactic," Lone Signal CEO Jamie King said. "We want to be part of the wider conversation and exploration into space. We do need to make a profit in order to sustain the operating costs in order to keep doing it."